The jack in the box by my house has 2 menus. This is it. Once a guy was waiting at first menu (where I am) for about a minute then pulled a U-turn to the right to leave, discussed the speaker didn’t work. I pulled right past the first menu to the second and started my order. 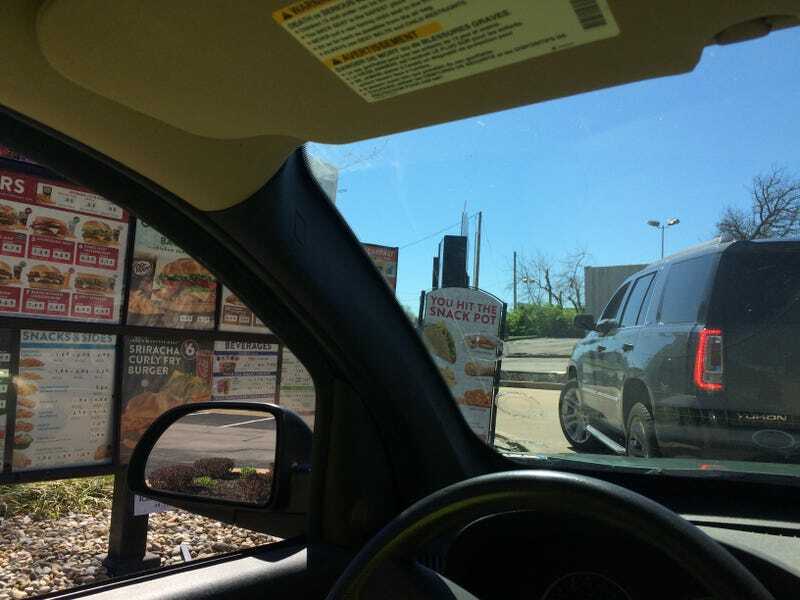 He must have really wanted Jack n the box because he pulled behind me then ordered at second window. From this view you can see how it would be an easy mistake.